Tutorial 9 has a solid reader base. Thus, you can chat with other members in the comments section, for any questions that you may have regarding a specific tutorial. Learning materials and tutorials are delivered to you by email. There are a total of 10 sessions in the class. Each session is sent to your email address on a weekly basis. You must have Photoshop versions: 5.0, 5.5, 6.0 or 7.0 to be compatible with this free Photoshop class. 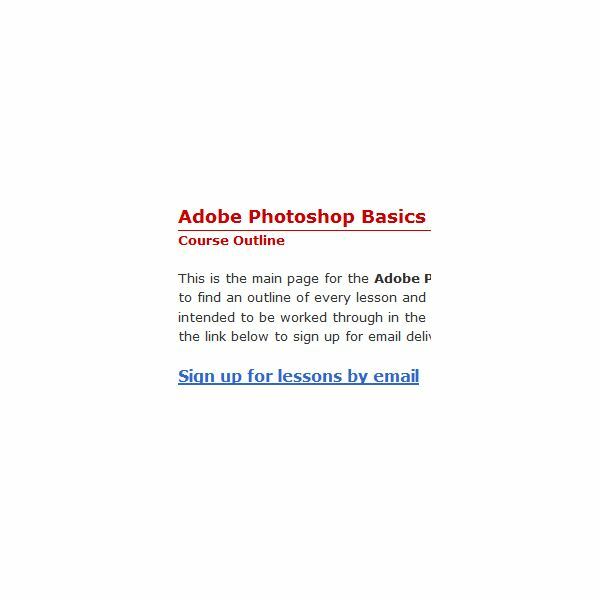 This course is designed for beginners, and teaches the fundamentals of using Adobe Photoshop. An email-formatted course may be more convenient for some, as it doesn’t require browsing the web to find tutorials. You simply get the free Photoshop classes delivered to your email address. For others, it may be less convenient, as they would rather have full control of the materials they learn, and prefer to search for specific, more detailed tutorials. You may want to check out the course outline before deciding if this tutorial is right for you. 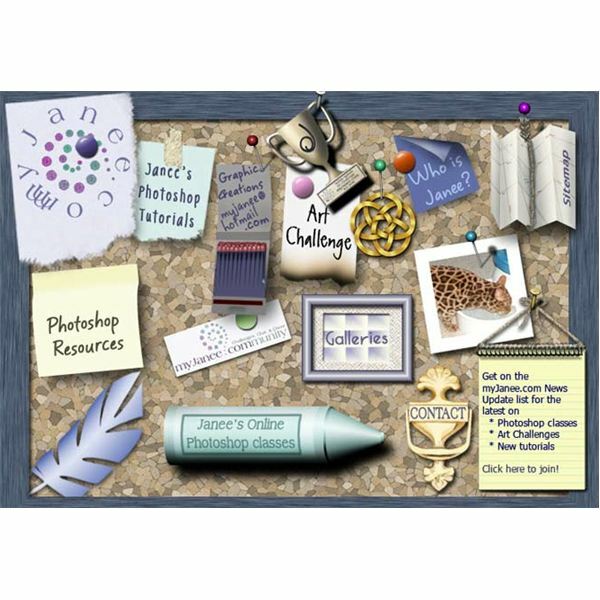 Janee’s Photoshop Tutorials also has a community section, where you can seek out help for specific designs that you may want to incorporate with Photoshop. Occasionally, this website also offers classes, which you can learn about here.